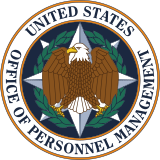 The United States Office of Personnel Management (OPM) is an independent agency of the United States Federal Government that manages the government's civilian workforce. The agency provides federal human resources policy, oversight and support, and tends to healthcare, insurance and retirement benefits and services for federal government employees. OPM is headed by a director, who is nominated by the President and confirmed by the Senate. On September 2, 2017, President Donald Trump nominated Jeff Pon to be OPM's next director. Pon was confirmed by voice vote on March 7, 2018 and served from March 9, 2018 to October 5, when he resigned. Margaret Weichert, Office of Management and Budget Deputy Director for Management, was named acting Director. The United States Civil Service Commission was created by the Pendleton Civil Service Reform Act of 1883. The commission was abolished and replaced by OPM on January 1, 1979, following the passage of the Civil Service Reform Act of 1978 and Reorganization Plan No. 2 of 1978 (43 FR 36037, 92 Stat. 3783). In 1996 the investigation branch of the OPM was privatized, and USIS was formed. According to its website, the mission of the OPM is "recruiting, retaining and honoring a world-class force to serve the American people." The OPM is partially responsible for maintaining the appearance of independence and neutrality in the Administrative Law System. While technically employees of the agencies they work for, Administrative Law Judges (or ALJs) are hired exclusively by the OPM, effectively removing any discretional employment procedures from the other agencies. The OPM uses a rigorous selection process which ranks the top three candidates for each ALJ vacancy, and then makes a selection from those candidates, generally giving preference to veterans. The OPM is also responsible for a large part of the management of security clearances (National Background Investigations Bureau conducts these investigations) for the United States Government. With the exception of the Nuclear Regulatory Commission, which maintains its own system, separate programs for each executive department have gradually been merged into a single, Government-wide clearance system. The OPM is responsible for investigating individuals to give them Secret and Top Secret clearances. SCI compartments, however, are still managed by the particular agency that uses that compartment. OPM is also responsible for federal employee retirement applications for FERS and CSRS employees. OPM makes decisions on federal employee regular and disability retirement cases. The OPM revolving fund is described as the OPM's "fee for service" business that moves federal budget money from various federal agencies to the OPM for human resources (HR) services. During the decade from 2002–12, the dollar amount of the fund has tripled. The fund is worth $2 billion, equivalent to almost all (90 percent) of the OPM budget. In July 2013, Rep. Blake Farenthold (R-Texas) introduced the Office of Personnel Management Inspector General Act. The bill would increase oversight of the fund. Farenthold introduced the bill as a response to accusations of fraud and concerns about security clearance background investigations. The bill would fund the expenses for investigations, oversight activities and audits from the revolving fund. In February 2014, President Obama signed the bill into law. The fund's history goes back to the early 1980s, where it was used for two main activities: training and background investigations for government personnel. In June 2015, the Office of Personnel Management announced that it had discovered in April 2015 that it had been hacked more than a year earlier in a data breach, resulting in the theft of approximately 4 million personnel records handled by the office. The Washington Post has reported that the attack originated in China, citing unnamed government officials. By July 9, 2015 the estimate of stolen records had increased to 21.5 million, including those of current government personnel and people who had undergone background checks. New updates regarding this security breach came to light on September 24, 2015. The agency then indicated that additional evidence showed that 5.6 million people's fingerprints were stolen as part of the hacks, more than five times the 1.1 million originally estimated. The total number of individuals whose records were disclosed in whole or part, including Social Security numbers and addresses, remained at 21.5 million. ^ "Our Mission, Role & History - What We Do". Washington, D.C.: U.S. Office of Personnel Management. Retrieved 24 January 2018. ^ "President Donald J. Trump Announces Intent to Nominate Personnel to Key Administration Posts". Washington, D.C.: The White House. 2 September 2017. Retrieved 24 January 2018. ^ "Tracking how many key positions Trump has filled so far". Washington, D.C.: The Washington Post and Partnership for Public Service. Retrieved 24 January 2018. ^ "Jeff T.H. Pon". Washington, D.C.: U.S. Office of Personnel Management. Retrieved March 15, 2018. ^ "Glossary of Terms". Retrieved 5 January 2016. ^ Gayathri, Amrutha. "USIS That Vetted Snowden Under Investigation; Booz Allen Hamilton Overlooked Snowden Resume Discrepancies." International Business Times. June 21, 2013. Retrieved on July 1, 2013. ^ "Biography of an Ideal". Retrieved 5 January 2016. ^ "Audit of the Federal Investigations Servies' Case Review Process Over Background Investigations" (PDF). opm.gov. page 2. Retrieved 6 June 2014. ^ "Millions of US government workers hit by data breach". BBC News. 5 June 2015. Retrieved 5 June 2015. ^ Zengerle, Patricia; Cassella, Megan (2015-07-09). "Estimate of Americans hit by government personnel data hack skyrockets". Reuters. Retrieved 2015-07-09. ^ Peterson, Andrea (2015-09-24). "OPM says 5.6 million fingerprints stolen in biggest cyber attack in US history. America doesn't have anything together this is why this happened". Independent. Retrieved 2015-09-24. ^ "Agency Leadership". U.S. Office of Personnel Management. Retrieved 5 January 2016. ^ "Our Mission: Constance Horner". opm.gov. Retrieved August 1, 2014. ^ a b Rosenberg, Alyssa (2008-08-01). "Bush taps new OPM director". National Journal. Retrieved 2009-04-04. ^ "Linda M. Springer Sworn In as New OPM Director" (Press release). United States Office of Personnel Management. 2005-06-29. Retrieved 2009-04-04. ^ "White House Names Acting Director of OPM" (Press release). United States Office of Personnel Management. 2009-01-23. Retrieved 2009-04-04. ^ "OPM Director John Berry". United States Office of Personnel Management. Retrieved 24 April 2013. ^ "Kathleen McGettigan". Washington, D.C.: U.S. Office of Personnel Management. Retrieved March 15, 2018. ^ Yoder, Eric (2018-10-05). "Trump replaces federal personnel director, in job only a few months, with OMB official". The Washington Post. Retrieved 2019-01-06.